For thousands of years humankind has interacted with cannabis and hemp. Its amazing applications have been known, and experienced, from the days of ancient Egypt to the present time. It is used as medicine, is employed in the manufacture of thousands of industrial products, and functions, too as a social and religious enhancement. However, there are quite a few Americans who are unable to recognize the term “cannabis.” It is not because this is a rare plant, exotic and originating from faraway places. To the contrary, this particular plant is still enjoyed and exploited worldwide on a regular basis. It grows wild all over the planet. So, why the lack of recognition? Because, in the US we rarely call the plant by its actual name. Here, it’s known as marijuana and our dangerously uninformed American public sees it as a threat and a scourge. Such misinformation can be traced back to the 1930s when the American public was much more knowledgeable on cannabis and hemp, so a new word had to be invented, or borrowed, in order to sell prohibition. That word had to be tied to an already engrained dark energy in America, that of racism. So a word that sounded like something unique to Black, Latino, or Native Americans had to be conjured to effectively scare the public with the purported dangers of the leaf. Of course, holding federal hearings in secret also helped the cause, as it kept scientists and farmers from exposing the radical and sinister plans of prohibition. The word “marijuana,” coined by the Director of the Federal Bureau of Narcotics, Harry Anslinger of southern Pennsylvania, marks a now 75-year-old campaign of lies and the persecution of anyone favoring this popular and helpful plant. Anslinger spent most of his career in the shadow of his rival, J. Edgar Hoover. They were both power-crazed bigots amassing files on many high profile entertainers. Just as Hoover kept secret information on celebrities like John Lennon and Elvis, Anslinger created files on performers like Cab Calloway, Duke Ellington and Count Basie. Also like Hoover, Anslinger’s paranoia left few free of his bullying, as even beloved icons in the prime of their career—Louis Armstrong, Milton Berle and Jackie Gleason, to name a few—made “the list” by the 1950s. Just as Hoover viewed Rock and Roll musicians as a threat to American heritage, so, too did Anslinger see Jazz musicians as posing the same danger. Of course, the behavior of poison-hearted individuals like Anslinger and Hoover yielded substantial economic rewards for the special interests of their day. Just as powerful government officials today serve corporate monsters like Monsanto, in the early days of cannabis prohibition powerful corporations such as DuPont and Kimberly-Clark (a pulp-based timber and paper company) benefited greatly. However, it was racism that pushed prohibition over the tipping point to the new absurd reality of the misinformation campaign which still persists today. Sadly, the government no longer needs to be secretive, as its abuses are blatant and right in front of our eyes in the form of the prison state our so-called free country has become. The trail of lies and garbage science that follows the word “marijuana” extends beyond the horrors of incarceration. As Americans, we have lost our right to privacy, lost property through forfeiture and seizure, have become victims of entrapment by police and blackmail by informants (because the mere presence of cannabis immediately brands a person as a criminal), are subjected to unwarranted searches (including urine testing for employment), to say nothing of prohibition’s contribution to law enforcement and judicial system corruption. As a result, the economy is denied the benefits, and individuals and businesses are denied the opportunities that would be available through legal cannabis. Further, what would obviously be a profitable trade in recreational and medical cannabis for legitimate business instead is driven into the realm of organized crime and cartels. We end up with a situation—just as we saw with alcohol prohibition—in which the insane laws prove far more harmful than any of the banned substances. So let’s take a deep breath, stop using the M-word and dragging along all the lies that have been bound to it, and instead fall in step with history and the rest of the world by calling the plant by one of its true names: cannabis or hemp. With that as a starting point we may also understand the truth about the non-addictive, non-toxic cannabis plant. The truth concerning cannabis is that it is incredibly effective as medicine. Oils made from highly potent strains have been effective in curing many forms of cancer. Inhaled cannabis has proven a great appetite enhancer and has demonstrated other benefits. Ointments and salves derived from cannabis have numerous therapeutic properties for healing of wounds, and can even protect us from the radiation of the sun. So-called “industrial hemp” is a cannabis variant containing extremely low levels of the psychoactive component, THC. This variant can be used to fashion tens of thousands of products, among them clothes, paper, building materials, soap, rope and many other valuable goods. Finally, the herb will not, and never has, killed anyone. The very notion that we need to arrest otherwise law-abiding citizens for smoking cannabis is cruelly immoral and inhumane, not to mention hypocritical. 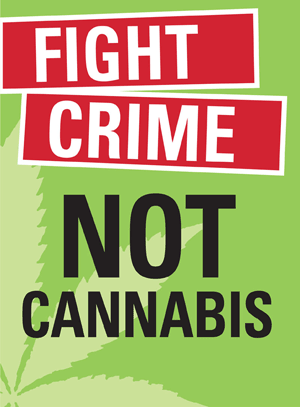 It is impossible to overdose on cannabis, but plenty are killed by criminals profiteering on its underground trade, and by policing agencies engaged in the war on cannabis. After all, death is a primary component of warfare, is it not? It istime for truth and justice. Demand it. Learn the reality about cannabis and stop the injustice of punishing folks for choosing nature over chemicals. The first place to start is to shed the racist propaganda of the past 75 years, and to get used to reminding all: IT’S CANNABIS, NOT MARIJUANA. Let the propagandists and drug warriors know we will not live in fear of our neighbors and that we demand our natural right to interact with a plant, will medicate as we see fit with natural substances, and will assert our right to have options for our own economic future beyond corporate subservience.